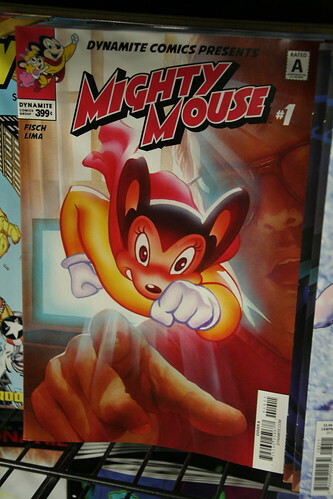 You are currently browsing the tag archive for the ‘Mighty Mouse’ tag. 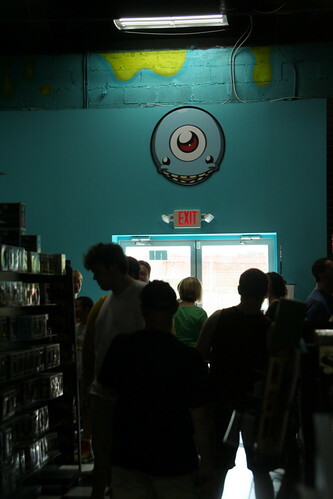 I learned via Facebook that Third Eye Comics was having a Halloween ComicFest right in its store. 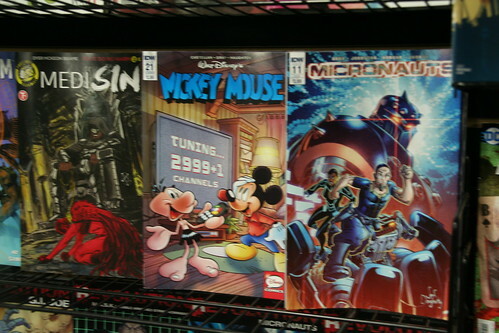 Not only were there really cool sales but they had some free sample comic books to give away as well. 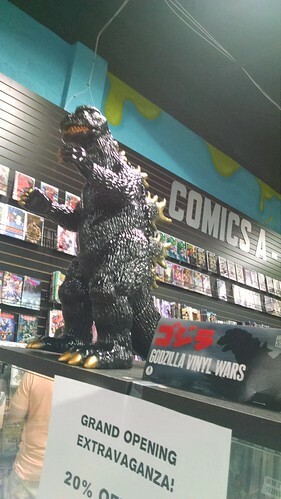 (It’s almost like the annual Free Comic Book Day except it’s in October instead of May.) 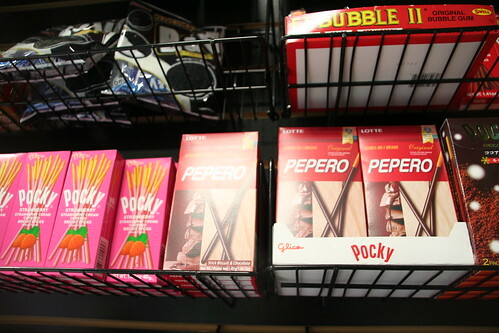 So I went down to Annapolis where I took these photos. 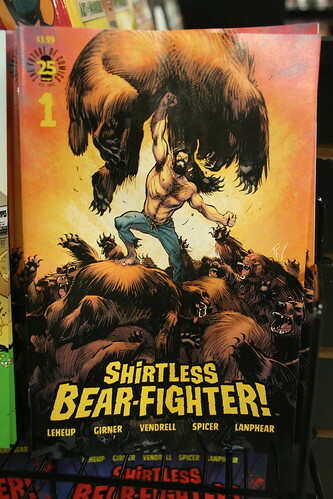 The one thing I’ve noticed is that there seems to be more comic books based on cartoons that I used to watch on television when I was a child. They have cloth dolls based on The Unbeatable Squirrel Girl comic book series. A culinary-minded person can do some superhero-themed cooking. I decided to check out the Spirit of Halloween as well. 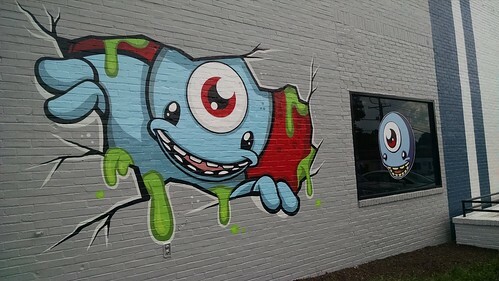 I originally was going to go to the one in Bowie since that was the one place where I knew such as store was operating until I did a quick search on Google Maps. 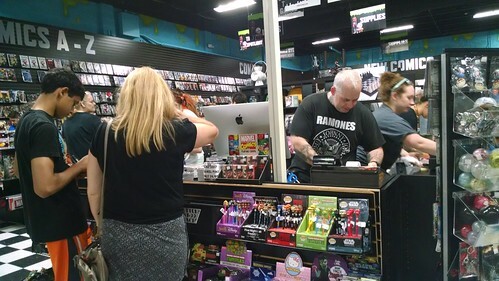 I found that there was another Spirit of Halloween store that was just located one mile away from Third Eye Comics so I decided to go there instead. The same shopping center had a lighthouse that was located next to a movie theater. The biggest irony is that the nearest body of water was located at least three miles away from where both the lighthouse and shopping center were located. I arrived at the Spirit of Halloween where I took these photos, starting with the ways in which one could come dressed as either Donald Trump, Melania Trump, or Vladimir Putin. I know that some of the Disney Moana-themed costumes have been controversial so I’m amazed that any store is still carrying them. I purchased only one item from that Spirit of Halloween store. It’s a small gargoyle where, if you pressed its belly, its eyes light up and it says one of four phrases (such as “You are doomed!”). This gargoyle was perfect for decorating my car trunk for the Trunk or Treat event that took place at my church on the following day. 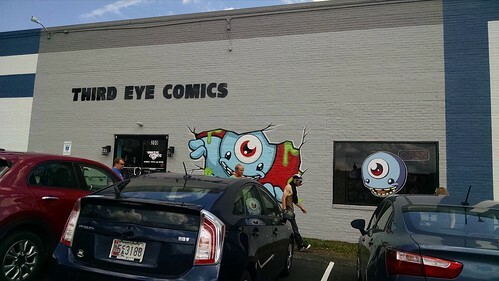 Third Eye Comics has been around for a few years. 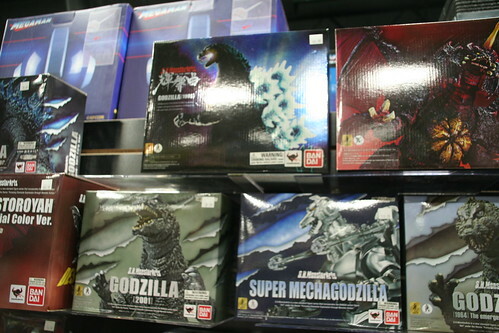 The store had simply moved to larger quarters just around the corner from its former location. 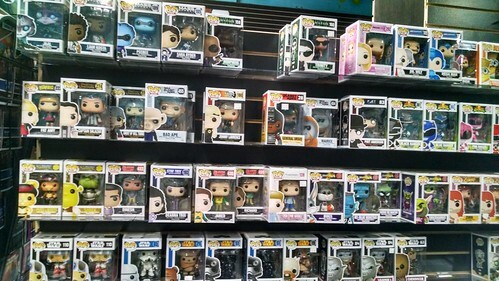 The store decided to have a grand opening event to celebrate this. Here’s a look at the entrance to the new facilities. 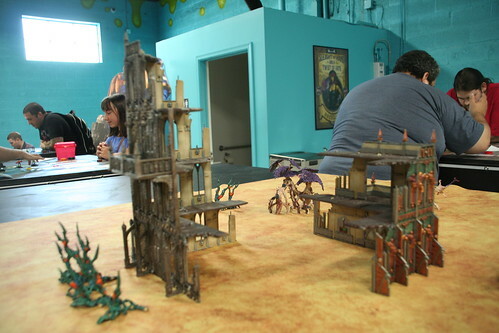 This is a really cool example of trompe l’oeil. 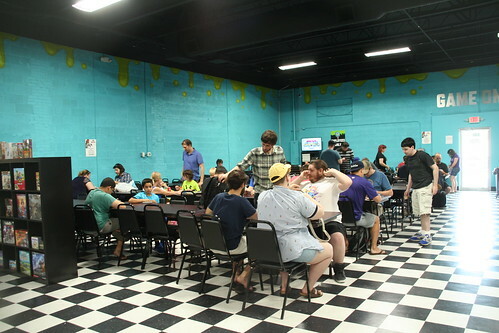 As you can see in the next few photos this event was well attended. 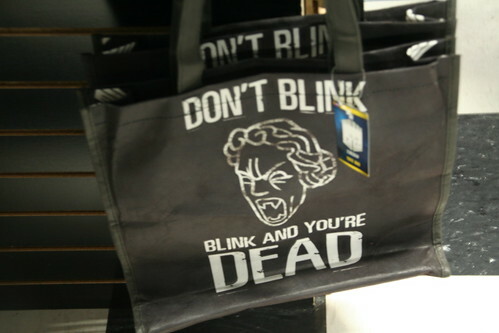 There were all kinds of items available for sale, such as this Weeping Angel tote bag from the Doctor Who TV show. 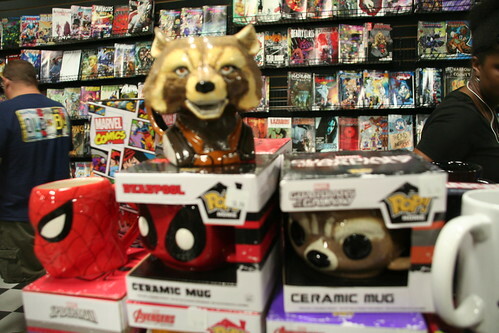 There were comic books, graphic novels, vinyl toys, coffee mugs, and other kinds of related merchandise available for sale. 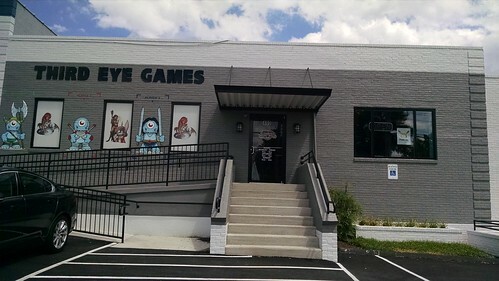 Third Eye Comics also has a games store, known as Third Eye Games, whose entrance is located next to Third Eye Comics’ space. 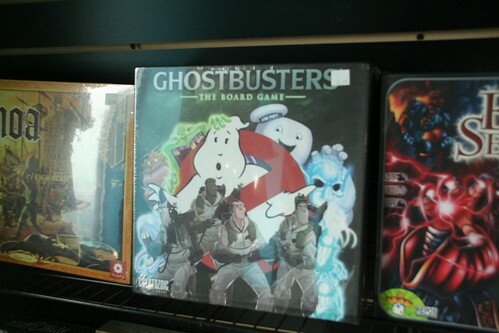 As you can guess from the name, Third Eye Games have all kinds of card games and board games available for sale, such as this Ghostbusters game. 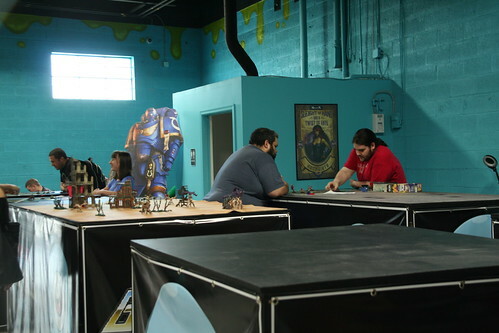 There were plenty of people playing games when I was there. 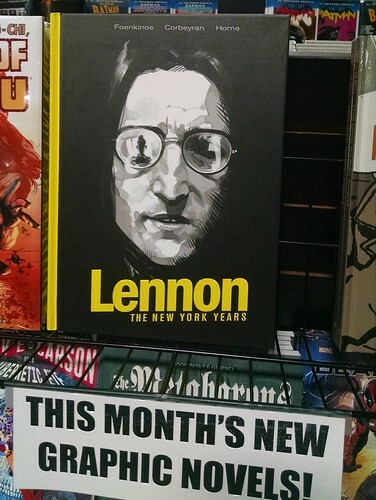 I took advantage of the store’s special 20% discount on graphic novels to make my one and only purchase from that store. 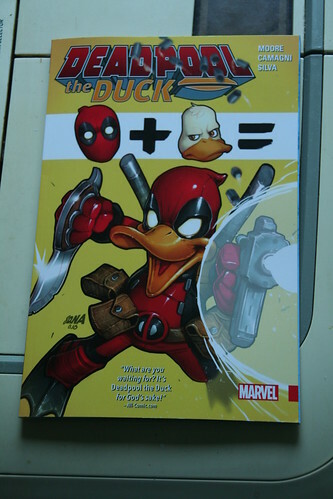 As you can guess by the cover, Deadpool the Duck is a mash-up between Howard the Duck and Deadpool. Having read it, I can tell you that it’s definitely hilarious. I would recommend picking it up if you have the chance.